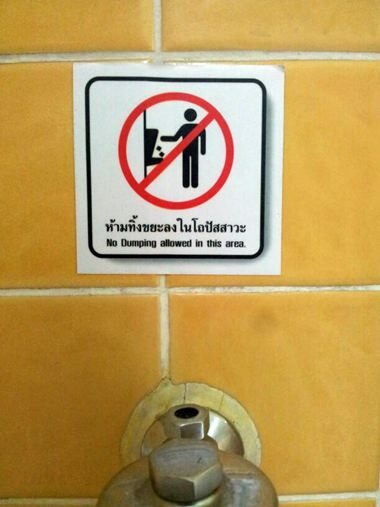 Tom sent this in from an area restroom. He said he really didn’t want to ask. 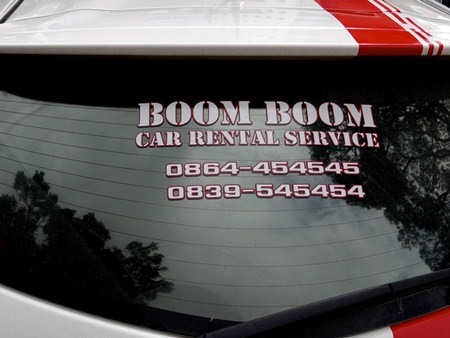 Ron saw this car rental and thought maybe not the best name for a car rental service! OOne of the little things that adds a bit of quirky fun to life in Chiang Mai or even around Thailand are funny signs and menus scattered about. Sometimes the meaning is difficult to fathom, other times the message is quite clear, even if the English may not be. If you see a funny sign while you are out and about then grab your camera phone and take snapshot. Send it to [email protected] and share it with our readers.